A day after the Solicitor General of India had submitted before the Supreme Court that India cannot ask UK to return the Kohinoor diamond as it was gifted to East India Company by Maharaja Ranjith Singh and not forcibly taken away or stolen by the British, the Union Government Today made a U-turn in its stand. In a Statement issued by the Ministry of Culture it is stated that ‘Government of India wishes to put on record that certain news items appearing in the press regarding the Kohinoor Diamond are not based on facts’. It is also stated that “The Government of India further reiterates its resolve to make all possible efforts to bring back the Kohinoor Diamond in an amicable manner”. The Government of India wishes to put on record that certain news items appearing in the press regarding the Kohinoor Diamond are not based on facts. The Government of India further reiterates its resolve to make all possible efforts to bring back the Kohinoor Diamond in an amicable manner. The factual position is that the matter is sub judice at present. A PIL has been filed in the Honourable Supreme Court that is yet to be admitted. “The factual position is that the matter is sub judice at present. A PIL has been filed in the Honourable Supreme Court that is yet to be admitted. The Solicitor General of India was asked to seek the views of the Government of India, which have not yet been conveyed. The Solicitor General of India informed the Honourable Court about the history of the diamond and gave an oral statement on the basis of the existing references made available by the ASI. Thus, it should be reaffirmed that the Government of India has not yet conveyed its views to the court, contrary to what is being misrepresented. The Court granted six weeks time on the prayer of the Solicitor General to take instructions for making his submission in the matter. 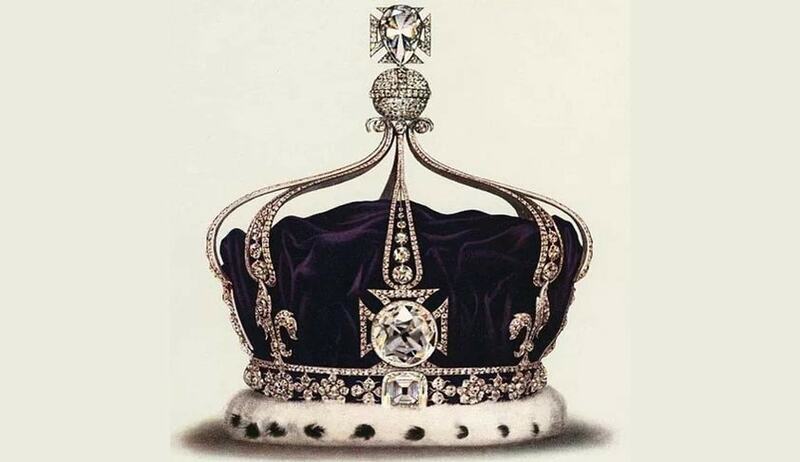 The status report on which the preliminary submission was made by the Solicitor General have references to the stand taken by Governments earlier that the Kohinoor was a gift and cannot be categorized as an object stolen. The material further has references to the views of India’s 1st Prime Minister Pandit Jawaharlal Nehru dating back to 1956. Pandit Nehru went on record saying that there is no ground to claim this art treasure back. He also added that efforts to get the Kohinoor back would lead to difficulties. It may be added that ever since he has taken over as PM, Shri Narendra Modi’s efforts led to three significant pieces of India’s history coming back home. In October 2015, German Chancellor Angela Merkel returned a 10th century Indian statue of Goddess Durga that was stolen in 1990 and found in 2012 at a museum in Germany. In April 2015, then Canadian PM Stephen Harper returned a sculpture known as the ‘Parrot Lady’, which dates back to almost 900 years. Then Australian PM Tony Abbott, on his India visit in 2014 had returned antique statues of Hindu deities that were in Australian art galleries. None of these gestures affected India’s relations with either Canada, Germany or Australia. It was Prime Minister Narendra Modi, who as the Chief Minister got back the ashes of Shyamji Krishna Varma almost 70 years after his death. Thus, with regard to the Kohinoor Diamond too, Government of India remains hopeful for an amicable outcome whereby India gets back a valued piece of art with strong roots in our nation’s history”. But the bench said it will not dismiss the public interest litigation which sought directions for bringing back the diamond saying it might affect any future attempts to get back the 105 carat gem. “Do you want us to dismiss the PIL? We would have done so after such a statement. But if the government is making a legitimate claim later we wonder our dismissal will stand in your way. They will say your own supreme court has dismissed the case so how can we interfere”, CJI Thakur asked Solicitor General Ranjit Kumar. The court then asked Kumar to take further instructions from the External Affairs and Culture ministry in this regard and file an affidavit within six weeks.